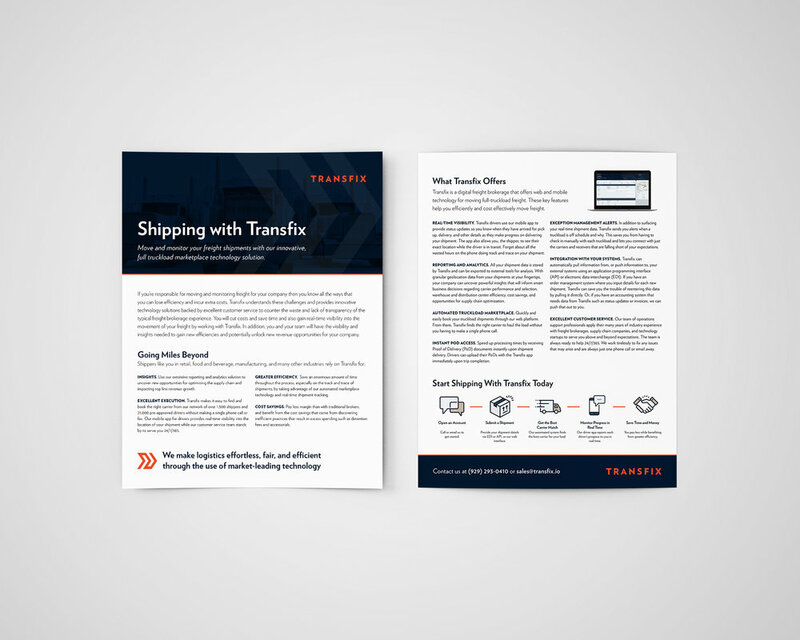 This was a piece I was contacted to design for a transportation service company that is bringing the truckload freight industry into the connected world. I loved working with this innovative company to create a B2B piece that really sold their message. I was able to take the brand guidelines Transfix already had in place and create a perfectly branded flyer with the addition of a customized icon set.